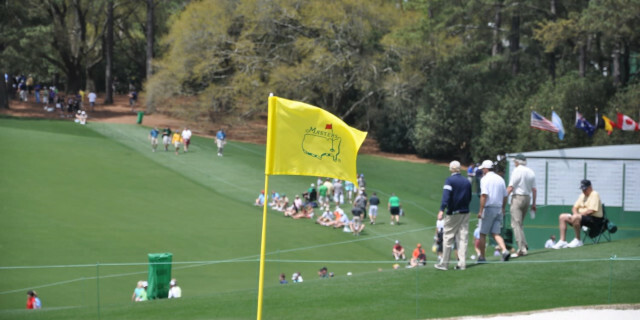 The Masters is always greatly anticipated, but for its iconic status as an event on the calendar, the televised coverage often frustrated viewers. Due to restrictions by the Augusta National Golf Club - who believed in the principle of 'less is more' - it's only in fairly recent memory that viewers have seen the entirety of the final round. However, while the window remains smaller than most, the year's first men's major is now more accessible than before, with a variety of viewing options throughout the week on both Sky Sports and the BBC. There is one significant change to Sky's coverage of The Masters. David Livingstone, for so long the broadcaster's front man, has been succeeded by former European Tour golfer Nick Dougherty - nothing like throwing your man in at the deep end, eh? Commentary will be provided by the usual excellent team, led by Ewen Murray and Rich Beem. Don't forget, Sky will also have a series of programmes throughout the week, ranging from Official Films to bespoke features on the Masters. Additionally, once the action kicks off during Thursday, Featured Groups, Amen Corner and Holes 15/16 will be available on the Red Button. Bizarrely, BBC2 will show first-round highlights on Friday, when the second round will be well under way. But the good news is that BBC2 is showing live coverage of the third and fourth rounds. Eilidh Barbour will front the coverage, with commentary from the estimable Paul Azinger, Andrew Cotter and Ken Brown. Unbelievably, Peter Alliss is on board once again despite being 88 years of age!